As more business started going digital over the years, your signature was ripe for disruption. In 2000, the U.S. passed the ESIGN Act, a federal law that grants legal recognition to electronic signatures and records as long as all parties agree to use electronic signatures and documents. An electronic signature is an image of your John Hancock that you can insert into PDFs and other documents rather than signing with a pen — and it doesn't require a scanner. Electronic signatures or e-signatures have revolutionized the paper-pushing process, making it easy to sign documents remotely and request multiple signatures. 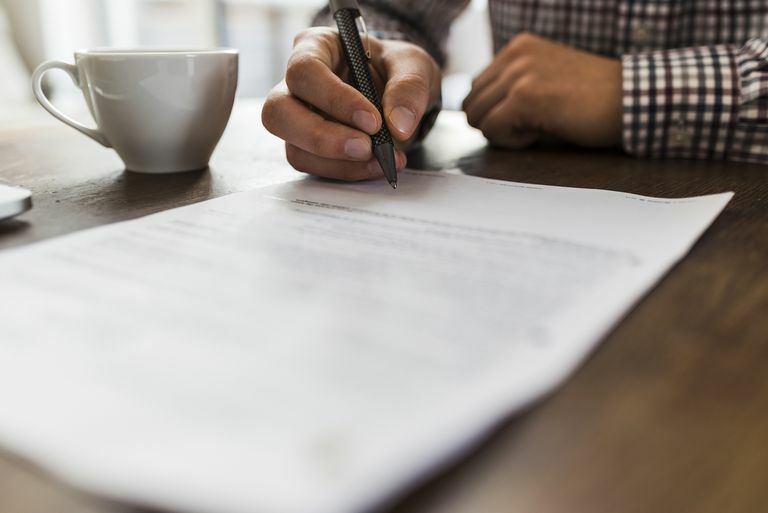 Now, there are many ways to create an electronic signature and several services that simplify the process of requesting signatures and signing documents, such as contracts and loan agreements. No longer do you need to find a fax machine or scan and save documents, or get everyone in the same room. Instead, you can create or generate a signature online and use it whenever you need it. Best of all, there are many free tools available that let you create and save signatures so you'll always have your e-signature at your fingertips. Many workplaces use electronic signatures to onboard employees, due to the sheer nature of paperwork involved (proof of citizenship, tax forms, and the like) as well as for freelancers, who need to sign a contract and submit tax and payment information. Electronic signatures are also acceptable when filing personal and corporate taxes. The banking and finance sectors use e-signatures for new accounts, loans, mortgages and refinancing, and the like. Small business owners can take advantage of e-signatures too when making deals with vendors and hiring employees. Anywhere there's a paper trail the documents can probably be digitized, both reducing paper waste and saving time. There are several ways to create an e-signature. You can also use free electronic signature software to make a PDF signature, such as DocuSign, which can auto-generate a signature. Alternatively, you can draw your own using a touchscreen or touchpad, or you can take a photo of your written signature and upload it. Adobe Reader (free) has a feature called Fill & Sign, which lets users create an e-signature and fill out forms with text, checkmarks, and dates. Like DocuSign, Adobe can generate a signature for you after you type in your name, or you can draw your signature, or upload an image of it. Whichever method you use, you can then save that signature to your account and use it whenever you're e signing a PDF. Adobe also has mobile apps for iOS and Android. DocuSign lets you sign documents for free, but to request signatures from others or send signatures through the software, you have to sign up for a paid subscription. It also has mobile apps, and Gmail and Google Drive integration. HelloSign lets you sign three documents per month for free and also has a Chrome app that integrates with Google Drive. The service has a choice of different fonts too. Mac users can use Adobe Acrobat Reader DC to e-sign PDFs, or they can use the Preview application, which displays PDFs, to draw a signature using the trackpad. The Force Touch trackpad, on MacBooks from 2016 and after, is pressure sensitive so that an electronic signature will look more like a written signature. If you save your signature in the Preview app, it will sync with your other iOS devices, so you can have it available on your iPhone and iPad. So next time you need to sign an essential electronic document, try one of the free tools featured here and forget about that scanner.